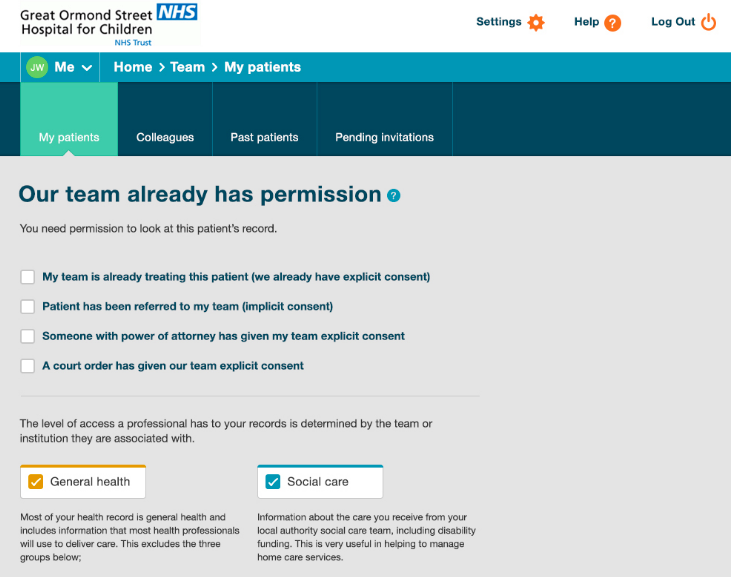 When we started PKB we deliberately chose a simple consent process for patients. Either the patient trusted someone with their full medical record, or they trusted them with none of the record. Patients trusted a small number of people with their full record and this was clear for everyone to understand. 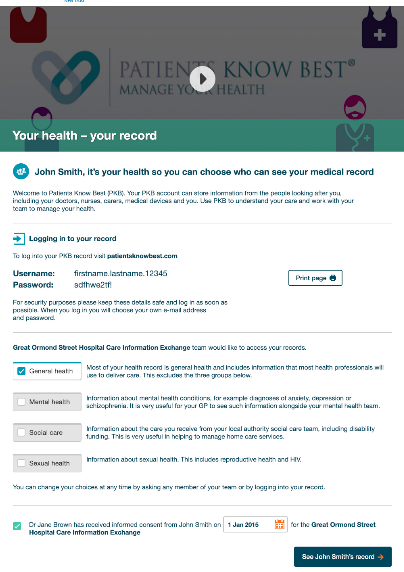 Over the last year we have been working with medical professionals and with patient groups to test out a more sophisticated privacy model. The new model splits the record into general health, mental health, sexual health, and social care. We wanted it to allow more choice but maintain ease of use. You will see these changes in August, and these will also mean changes to the consent process. 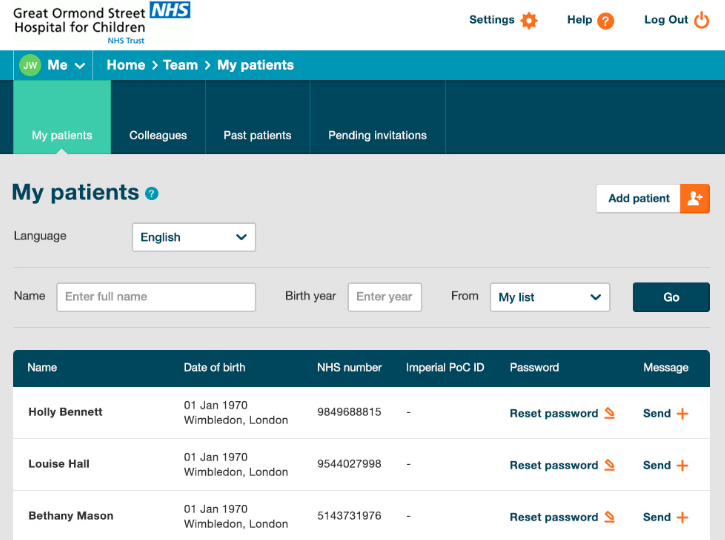 The first time you log into your patient record with the new features the PKB software will review with you everyone who already has access to your record. You will see their permissions and change these to what you prefer. 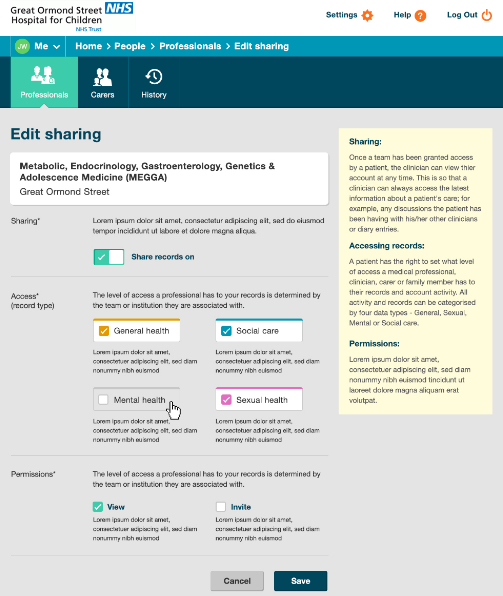 You can change your sharing settings at any time by going to ‘Sharing’ > ‘Professionals’. 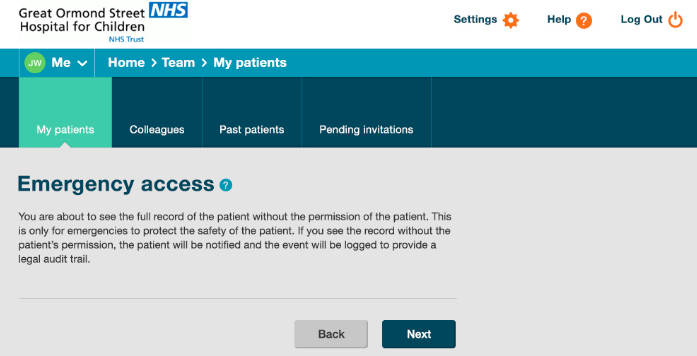 All choices are logged and the patient and their carers will be notified. Choose this option if your patient had given you implicit or explicit consent previously. Again, all choices are logged and the patient will be notified. This is the ‘break-the-glass’ feature. Choose it for emergencies or if the patient is not capable of informed consent. 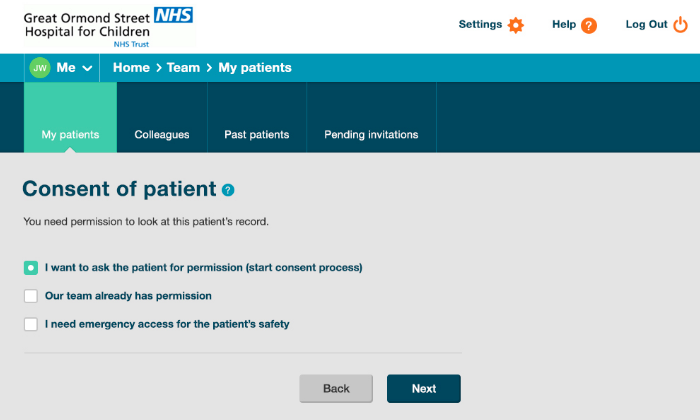 Not only will the patient and carer be notified by the privacy officer of your organization, your organization will also receive a report that you had used this feature. We hope you like these new features. If you have any questions, comments or suggestions for improvement we would love to hear from you.